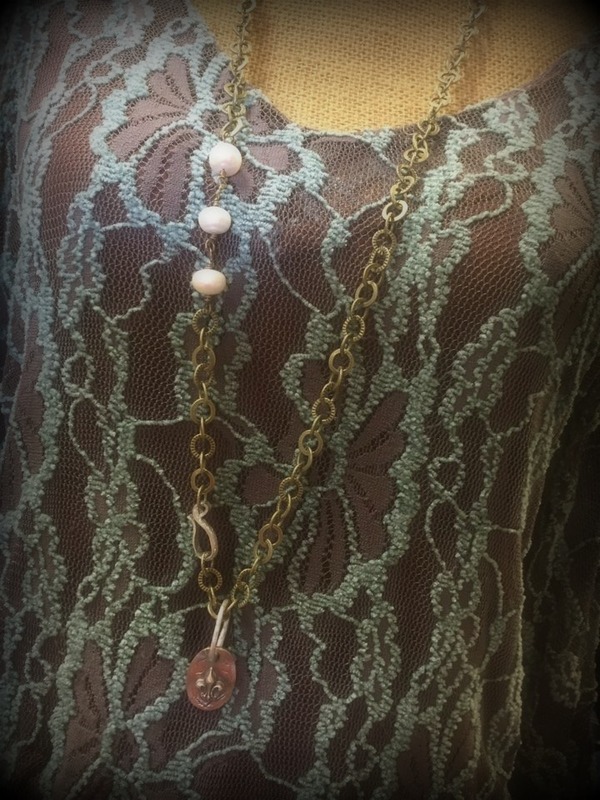 Description Bronze chain link necklace accented with three pearls hand wired into the chain. This chain comes 36" or 40" in order to wear it single and long or doubled and short. Fleur de lis and initial charms sold separate.